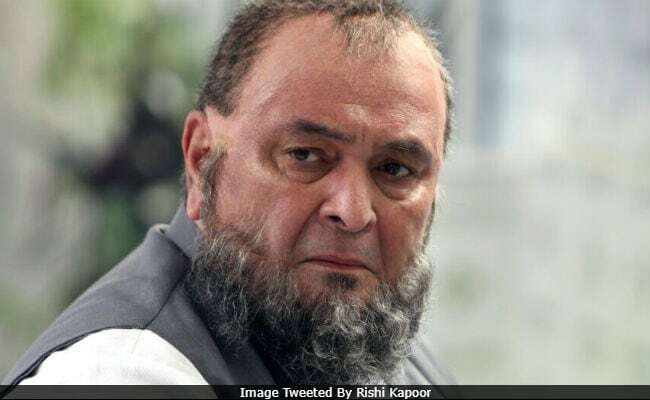 Rishi Kapoor changed his Twitter display picture and in the bio, wrote, "For all my fans, my first look of the film Mulk"
Veteran actor Rishi Kapoor unveiled his first look from the forthcoming film Mulk on social media. Mr Kapoor changed his Twitter display picture and in the bio, wrote, "For all my fans, my first look of the film Mulk." The poster features Rishi Kapoor in a different hairstyle with beard. Mulk, directed by Anubhav Sinha, is a social thriller, being shot in Lucknow. The plot of the story revolves around a joint family from a small town, which fights back to reclaim their honour after being dragged in a controversy. Mulk also stars Taapsee Pannu and Prateik Babbar. Here's Rishi Kapoor's look from Mulk. "It's a social thriller and I am so looking forward to sharing screen space with few of the best actors we have in the industry. It's a beautiful ensemble and films like these really help me grow as an actor," said Taapsee, reported news agency IANS. The Pink actress began shooting for the film earlier this week. Mulk will be shot in Varanasi and Lucknow. It is scheduled to release next year. Apart from Mulk, Rishi Kapoor also has 102 Not Out, co-starring Amitabh Bachchan in the pipeline.